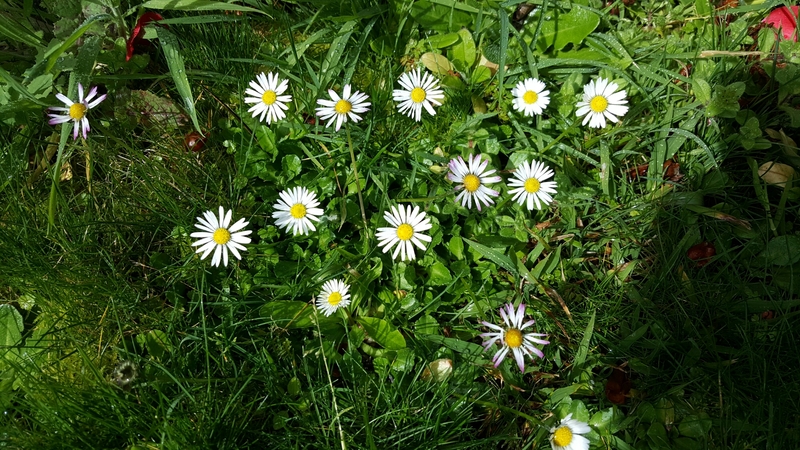 Daisies. Such simple things that bring such joy. Fresh faced and cheerful even in the rain. Spotted these from my desk, the rain had stopped so I went out barefoot in the wet grass to marvel at them. And take a photo! !